Nick Tamaraos has a nice summary of issues to do with the flattening US Treasury yield curve, and the implications for monetary policy. Some people, including Tim Duy, and some regional Fed Presidents, are alarmed by the flattening yield curve, and the issue entered the policy discussion at the last FOMC meeting. In this second chart, you can see that those two interest rate differentials go negative before recessions. But there are a couple of episodes in the sample, in 1996 and 1998, when the yield curve is pretty flat, but there's no ensuing recession. What's different about those two episodes is that (see the first Chart) the compression is caused more by long bond yields moving down, rather than the short rate moving up, as we observe in the cases where compression precedes a recession. If you were worried about an oncoming recession right now, based only on yield curve observations, you shouldn't be. All the recent flattening in the yield curve is in the long end. The margin between the two-year yield and the three-month T-bill rate hasn't been falling, as it did prior to previous recessions. Typically, when the real interest rate moves from trough to peak by a large amount, a recession happens. That seems to work pretty well, except during the 1980s disinflation. So, for example, from trough to peak, the real rate moves about 420 basis points before the 2001 recession, and about 400 basis points before the 2008-09 recession. Recently, the movement from the trough to where we are now is about 200 basis points, so by that criterion, it's not time to worry yet. 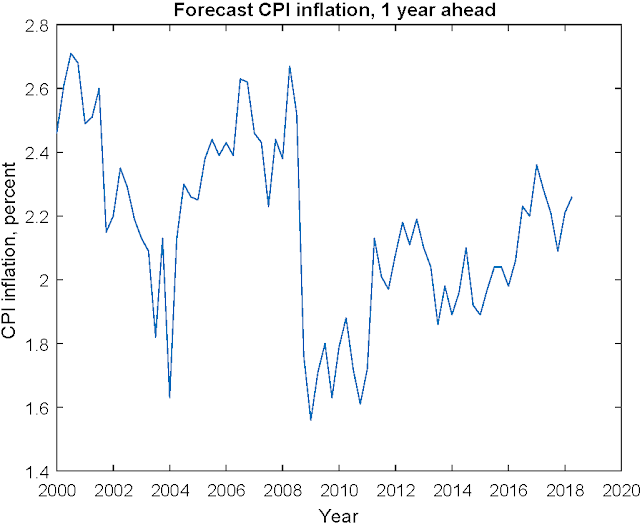 That measure has also moved well above 2%, in line with 2% inflation - more or less - in terms of the Fed's inflation target measure, the PCE deflator. In terms of achieving its goals, the Fed is essentially nailing its inflation target, and the labor market is tighter than anyone would have imagined possible a few years ago. But what about the flattening yield curve, the third item on Jim Bullard's list? What's going on here? 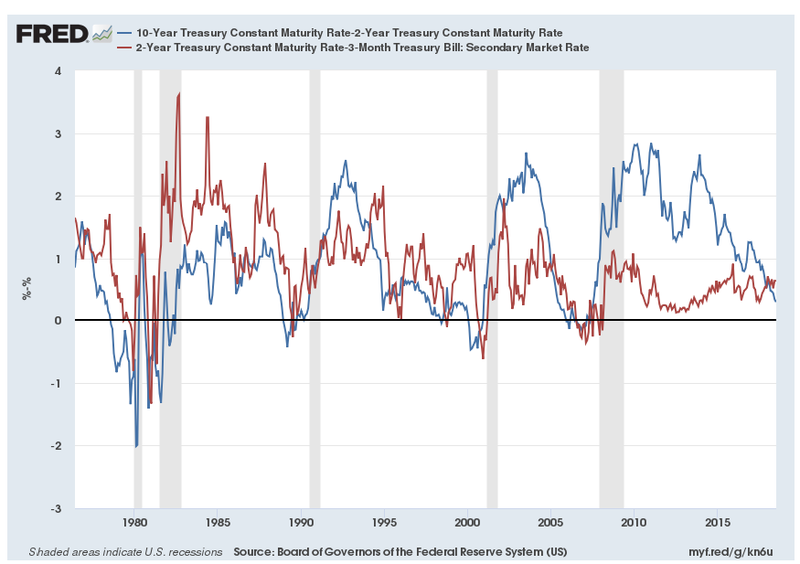 The flattening yield curve is being used as an argument for a pause in interest rate hikes, so the people in favor of more interest rate hikes are looking for reasons why things are different now, and the drop in the margin between the 10-year yield and the 2-year yield doesn't mean what it used to. People may be able to come up with explanations about what's going on with respect to the 10-year vs. the 2-year Treasury bonds, but as I discussed above, that's not really important - it's what's going on at the short end of the yield curve that matters. The key question is: What are the benefits and costs of further rate hikes, given the current state of the economy? In evaluating the costs, we need to be concerned about the effects of these hikes on real economic activity. What's it take for the Fed to kick off a recession, and does the Fed really want to do the experiment to find out, if everything looks OK? As a side note, I thought the part of the FOMC discussion where the staff gives a presentation relating to an alternative indicator - the difference between the current fed funds rate and what the market thinks the future fed funds rate will be - was good for a chuckle. If the FOMC thinks the market knows more about what it's going to do than what it knows about what it's going to do, we're all in trouble. What's the bottom line here? The case for continued rate hikes the FOMC has made is based on a faulty theory of inflation. 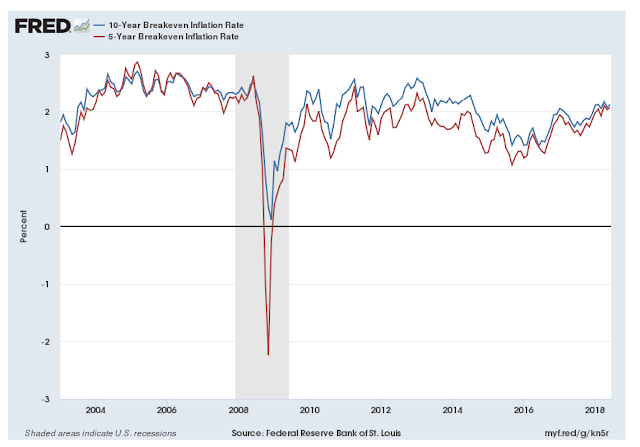 The Fed thinks that tightness in the labor market will inevitably cause inflation to explode, and it thinks that increasing unemployment will keep inflation on target. But: (i) Phillips curve theory is not a theory; (ii) the central bank does not control inflation by controlling the unemployment rate; (iii) there is no such thing as an overheating economy. There is some question about what real interest rate we would see when the US economy settles down - supposing monetary and non-monetary factors don't change from what they are currently. Possibly that real interest rate - r* if you like - has increased somewhat from where it was earlier this year due to the phasing out of the Fed's QE program. But, given the current state of the economy, I think the onus should be on members of the FOMC who want further hikes to justify them, not the other way around. Increasing interest rates increases inflation. Why is this concept so difficult to comprehend? When you increase rates more money has to be created to pay the higher interest burden irrespective if new wealth was created. When the fed raises rates the governments deficit expands as it pays out more interest. The private sector starts seeing a hike in credit which business then passes on through price increases to everyone. Money does not breed money. The natural rate of interest in any economy is zero. The long term decline in the 10-year yield in the first plot indicates that the Fed has not been controlling the economy about a steady state solution (to use control theory terminology). 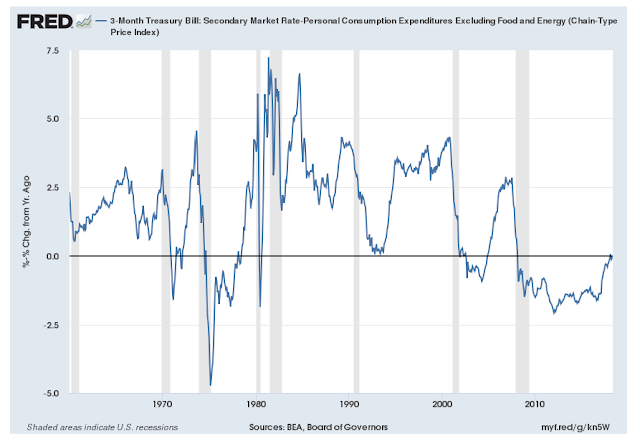 My guess is they have their inflation target too low, which results in the falling long term rates and leads to hitting the zero lower bound and loss of control. 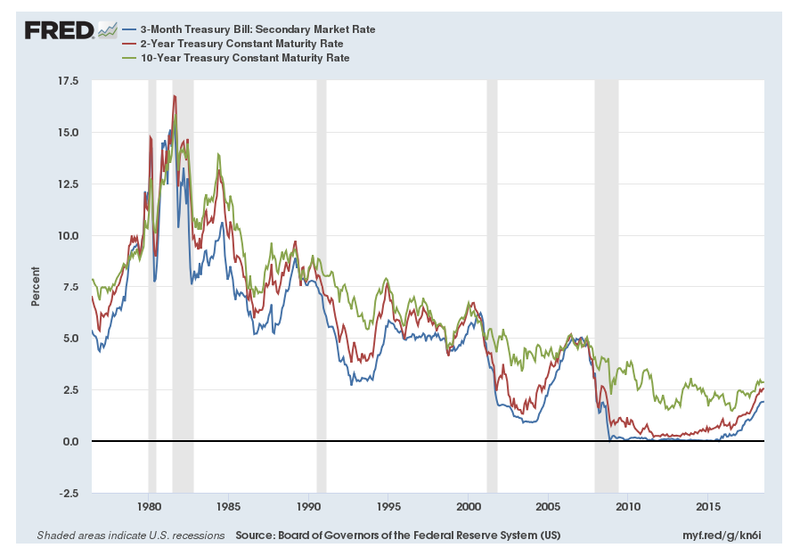 The decline in the 10-year yield from 1980, say, could be explained by the long-term decline in inflation expectations, as well as a declining real rate of return of government debt (which can be explained by various demand and supply factors). The issues you raise have more to do with what we think is in part determining the ten-year yield right now - future monetary policy. If a low real return on government debt persists, that implies that a 2% inflation target can be achieved only with nominal interest rates that are on average low. Then, with monetary policy being used as a tool to stabilize output, the ZLB will be encountered more often. But this should imply that inflation is higher on average than it would otherwise be, so the inflation premium in the 10-year yield should be larger. "If the FOMC thinks the market knows more about what it's going to do than what it knows about what it's going to do, we're all in trouble." The FOMC doesn't know what it's going to do in the future. 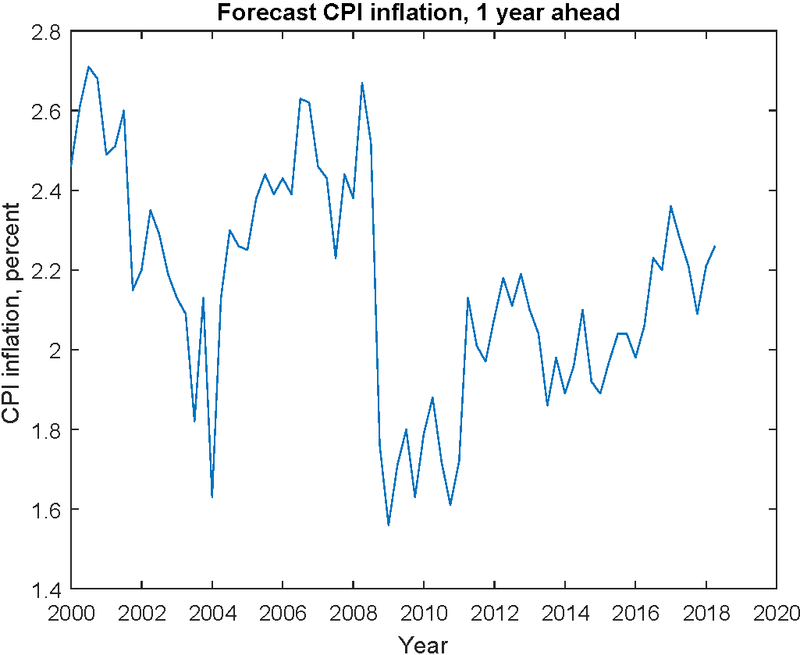 It (hopefully) knows what it's going to do in every state of the world (for specific paths of the economic variables they care about when setting the policy rate), but their policy decisions are contingent on variables which can't be forecasted with precision. Insofar as the market forecasts for these variables are better than the FOMC's internal forecasts for them, assuming that the market also knows how the FOMC will react to news, the market will be better at forecasting what the FOMC will do in the future than the FOMC itself. Yes, you're being more precise than I was. We would like to think that the FOMC has a policy rule, and that they successfully communicate to the outside world what that policy rule is. Then, the state of the world reveals itself over time, and the FOMC just executes what the policy rule dictates. In such a world, who would give you a better forecast of actual FOMC actions, the Board forecasters, or the implicit predictions coming from asset prices? Maybe you would bet on the latter, as that's efficiently summarizing all the available information. But what's going on in this instance is that the FOMC seems to be using the information from the external forecast of its own actions to decide what the policy rule should be. That didn't make any sense to me. "There is no such thing as an overheating economy." That's usually something only Post Keynesians would claim. Beyond the asylum economists know very well that there can be aggregate excess supply which leads to inflationary pressure. "That's usually something only Post Keynesians would claim." Good. At least they got something right. 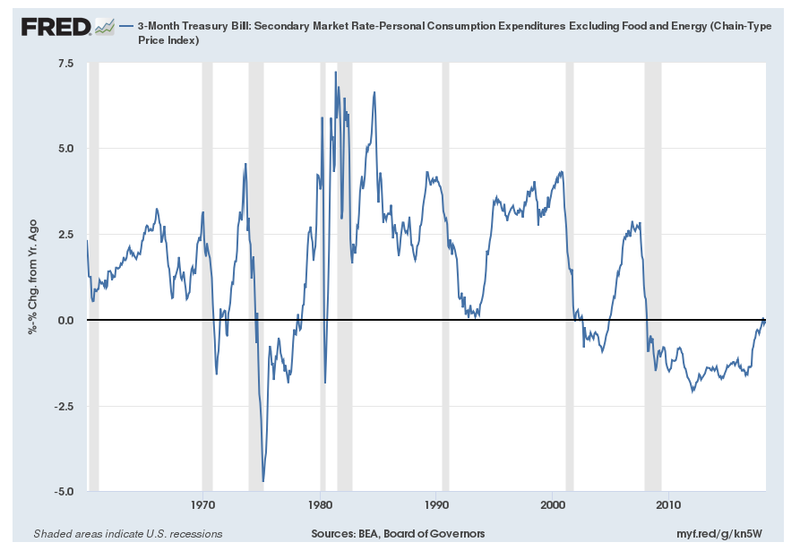 "...there can be aggregate excess supply which leads to inflationary pressure." That's an interesting claim. I think when people talk about excess this and excess that, usually they're thinking it's excess demand that makes prices go up.